Thank you for your interest in Anchorage, Alaska! 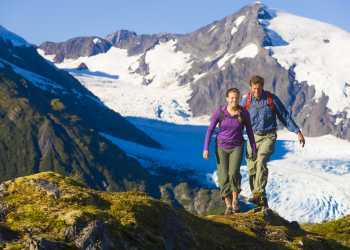 Visit Anchorage’s Tourism Development Team provides FAM assistance to tour operators and travel agents as well as three hosted travel agent FAMs per calendar year for those travel agents who have completed our Anchorage Wild Expert (AWE) training, either online or in person. If you are interested in a targeted FAM tour for you or your company, our tourism team can work with you to create an itinerary catered to your needs. This may include site visits to the area’s top activities, attractions, accommodations and points of interest. Our team will work with our partners to provide complimentary or reduced rates as available. Request FAM assistance. *You will be responsible for all costs beyond the complimentary services, possibly including airfare, transportation, meals, etc. Spring (May/June) FAM participants are chosen from applications received November – March prior. Fall (early September) FAM participants are chosen from applications received April – July prior. Winter Iditarod (Feb/March) FAM participants are chosen from applications received August – October prior) March 1-4, 2019. You must be an accredited travel agent. You must complete Anchorage Wild Expert (AWE) destination training - either in person or online - prior to and within 12 months of the FAM dates you are applying for. You must complete the Anchorage Wild Expert FAM Application form. Travel agents may apply for one FAM per calendar year. If you are selected for your FAM choice and aren’t able to make the selected dates, Visit Anchorage will make every effort to accommodate you on a future FAM. If you are not selected for your FAM choice, you must reapply for future FAM opportunities and the above criteria must be fulfilled.